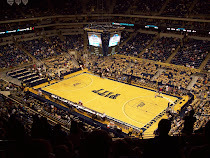 Pitt's full men's basketball schedule is now out - let the predictions begin. Paul Zeise gets things started, predicting a 22-9 record and calling Pitt a bubble team. I tend to think he's basically got it right. I'm calling for 23-7 (did not predict one game - see below). 1. Leaving out the second O'Reilly Auto Parts Classic 2nd round game as it's not known if Pitt will play Texas or Iowa. 2. 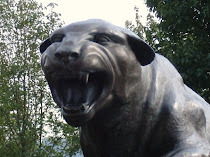 I think Pitt could win either at Cincinnati or at Syracuse. I'll pick Cincy, but I think it could be reversed. I have a hard time believing Pitt will lose three in a row with those two games and at UCONN. 3. I've tabbed it as a loss, but I would not be all that surprised to see Pitt take down Nova at The Pete. 4. This prediction is contingent upon Gil coming back on December 20. Though they're still a pretty deep team and can probably make his loss managemeable. I'll admit this is maybe a bit optimistic, but I think Pitt's balanced lineup (playing likely 11-deep when/if Gil gets back) will wear some teams down. The more I think about it, the more I think Pitt will surprise some folks. I think there's too much talent on this team (albeit young talent). However, Pitt is known to lose 1-2 games they really shouldn't and with a young team, that could turn into 3-4 games. So ten losses certainly wouldn't shock me.